Mr. McMahon has at times run the WWE like the seven kingdoms of Westeros. The show that has taken over the world returns this weekend with it's the premiere of its eighth and final season this weekend. WWE's biggest weekend of the year was last week with WrestleMania and on its heels came what should be a history making final season of one of the best shows in television history. Since Game of Thrones and the WWE are both so character driven, there are many similarities between both shows that can be found. Both shows have malicious heels and gallant heroes and several characters who fall somewhere in-between. They have also both used heart-breaking storylines to get heroes over (Daniel Bryan, Kofi Kingston, Roman Reigns) and used their vicious heels to rule over the subjects with iron fists (or sometimes, sledgehammer or chairs). 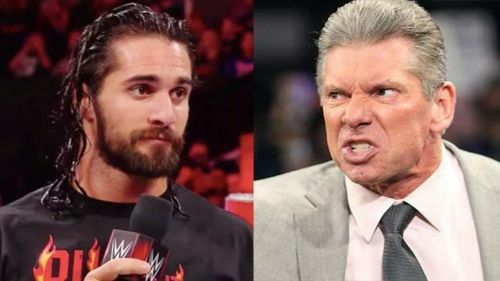 In the spirit of the show's return, here are some WWE Superstars who could certainly be a part of Game of Thrones for one reason or another. While some will be chosen due to a visual resemblance, some share character arcs or traits. These two ladies can take on the men better than some of the heroes can. 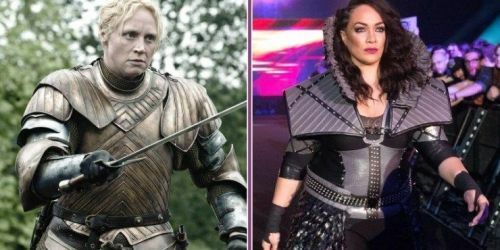 Although she started out and is currently a heel again, there are a few similarities between Nia Jax and Brienne of Tarth. First of all, they're both not like most girls, as both women are larger than average women but certainly more formidable. Secondly, both women have had similar story arcs in that the both have had to fight for acceptance from their peers. Brienne was the only surviving child of her family and despite being from a reputable house, didn't want to be married off. She wanted to do things her way, eventually learning the art of fighting. Brienne even bested the Hound, Sandor Clegane, at one point. She wasn't actively seeking love, but found unrequited love from Renly Baratheon and later Jaime Lannister who both treated her with respect. Those were two of the few instances of men treating her respectfully in one form or fashion. When Jax was in the middle of her face run that culminated with a Raw Women's Title win, she had to fight for acceptance from the likes of the conventionally 'pretty' women like Alexa Bliss and Mickie James. Since that didn't work, she stopped playing nice and just beat the ever-loving sauce out of them instead.